Eric Burdon’s distinctly soulful voice, powerful lyrics and musical choices are often credited for shaping the landscape and history of rock and roll over the course of the past several decades with timeless hits including “It’s My Life,” “House of the Rising Sun,” “Don’t Let Me Be Misunderstood,” “When I Was Young” and “Spill the Wine,” among others. He is best known as a member and vocalist of the rock band The Animals (formed in 1962) and the funk band War (formed in 1969). Earlier this year, Burdon released Til Your River Runs Dry which has been heralded as his most personal album to date and has recently signed a joint book deal with Alfred Music and ABKCO Records and Music to write his 3rd volume of memoirs, Breathless. Hailed by Rolling Stone as one of the “100 Greatest Singers of All Time,” Burdon has long been a groundbreaker while maintaining a commanding presence in music with The Animals, with War and simply as Eric Burdon. Melissa Parker (Smashing Interviews Magazine): Eric, I’ve been a fan of your music since the 60s, and the latest album, Til Your River Runs Dry, is no exception. Great stuff! Eric Burdon: Thank you so much. I really appreciate it. Melissa Parker (Smashing Interviews Magazine): How long did the recording process take and why record in New Orleans? Eric Burdon: The recording process didn’t take long. Most of the tracks were recorded in one take. What took a long time was the writing process. Most of the songs are written by me, and that always takes time. Also at the time, I was going through some incredible back pain, which delayed the process a lot. I was in search of a new sound. That’s why I went to New Orleans to catch the atmosphere and to record with John Cleary and members of Fats Domino’s band as well as Bonerama, a brass funk rock band that originated in the city. Melissa Parker (Smashing Interviews Magazine): Did you have your life in mind when you wrote “Old Habits Die Hard”? Eric Burdon: Of course. But it is also homage to those who fight for an ideal against all odds. Specifically, the rebels and the anarchists, fighting the cops with the bubble helmets out in the streets. Melissa Parker (Smashing Interviews Magazine): The inspiration for “Wait”? Melissa Parker (Smashing Interviews Magazine): You say, “Fix America first, and you’ll be a hero of the whole world,” in the song “Invitation to the White House.” If you spoke to President Obama today, what would be the first recommendation you’d give to him to “fix” America? Eric Burdon: Better education from kindergarten on! Teach your children well. There needs to be an equal chance for all the people to achieve their potential. Melissa Parker (Smashing Interviews Magazine): People are losing friendships in this country over differing political views. As a rule, do the citizens of England seem to live civilly with each other on moral and philosophical issues? Eric Burdon: Yes. But this doesn’t mean that they don’t have differences. England is a small country. It’s easy to step on someone else’s toes. Respect is the key word. Melissa Parker (Smashing Interviews Magazine): Would you describe yourself as religious or spiritual? 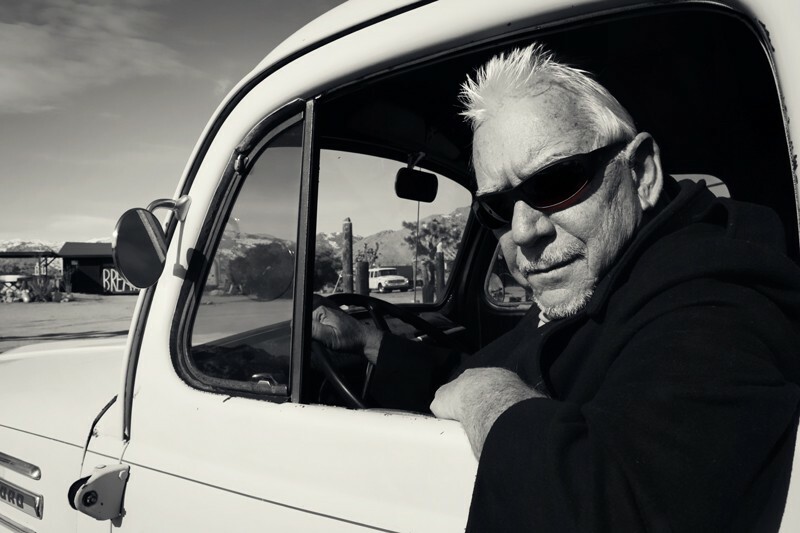 Eric Burdon: I’m just a soul whose intentions are good (laughs). I am religiously in search or spirituality, and I believe that organized religion is one of the most dangerous elements there is. Melissa Parker (Smashing Interviews Magazine): “27 Forever” is a poignant song. How did the deaths of Jimi Hendrix, Janis Joplin and Jim Morrison affect you? Eric Burdon: All of these losses shook me. They were all my friends, and it was one right after another. We were all too young to be experiencing so much loss at once. Of course, it affected me. It sent me into a deep depression for quite some time. Melissa Parker (Smashing Interviews Magazine): What were your thoughts when you arrived at Jimi’s apartment the morning he died? Eric Burdon: That it was just like the end of a great movie. Roll titles … THE END! Melissa Parker (Smashing Interviews Magazine): Why did you decide to cover “The House of the Rising Sun,” and why did The Animals change the arrangement of the song? Eric Burdon: We wanted something that stood apart from Chuck Berry while we were opening for him on tour. We saw the effect it had on the audience. “House of the Rising Sun” was recorded right in the middle of the tour. We had one day off, so we dragged our equipment off the train, into the studio, did it in one take and got back on the train. We were on our way to fame and glory. Melissa Parker (Smashing Interviews Magazine): Why did the first incarnation of The Animals dissolve in September 1966? Eric Burdon: People were dropping out of the band way before that. Melissa Parker (Smashing Interviews Magazine): Are “The Animals” dead now? Eric Burdon: I did my best to keep the name alive for half a century, and as long as our music is still out there, I don’t believe it ever dies. Melissa Parker (Smashing Interviews Magazine): What were the musical and cultural differences between The Animals and War? Eric Burdon: There was not much difference between the background of the two groups except that War had to fight with racism. My idea of joining this band was an intentional statement about racism. Since I was a kid, I couldn’t figure out why people hated other people because of their skin differences. The Animals were working class lads from a coal-mining town in England, and War was made up of a multi-ethnic bunch of musicians in Los Angeles. Melissa Parker (Smashing Interviews Magazine): Were the members of The Beatles, The Rolling Stones, Herman’s Hermits, The Dave Clark Five and The Animals friends with each other, or was there always competitiveness present among the bands? Eric Burdon: The competition was friendly. We all had our own sounds and our own clubs where we performed when we started out. We were in Newcastle, The Beatles were in Liverpool, and the Stones were in London when we first started. Then we would start performing in each other’s towns and clubs, like an exchange program. We were all in the same loop, doing the TV shows in the UK, always sharing the green room backstage area waiting to perform. Melissa Parker (Smashing Interviews Magazine): How has the music industry changed from the 60s to the present? Eric Burdon: When CDs came along, it changed everything. The destruction started earlier, but that era was when the industry changed completely. The one-hit wonders took over, flavors of the month. Prices went up, and it was no longer about getting an entire album’s worth of songs. In my opinion, the piracy and illegal downloading started because people were fed up with paying so much for a CD that only had one decent song on it. In the early days, the industry was run by people who loved the music. Now it’s just another product for many of them. The exception, of course, is the do-it-yourself, smaller labels. Melissa Parker (Smashing Interviews Magazine): Sherry Carroll’s recently released book, Even Rock and Roll has Fairy Tales: The Flight of the Shiny Happy Sherry Fairy, tells about her on-and-off 20-year affair with you. Comments? Eric Burdon: I’ve never heard of this woman. Melissa Parker (Smashing Interviews Magazine): Your top 3 favorite singers of all time? Eric Burdon: Ray Charles, Nina Simone and Amy Winehouse. Melissa Parker (Smashing Interviews Magazine): How will this latest memoir titled Breathless, due out in 2014, differ from your previously released books? Eric Burdon: This is a book written from where I stand today, looking at a new century at the age of 72. It’s my life, the way I’ve lived it. It’s not that the stories are that different. It’s the perspective that has changed. Melissa Parker (Smashing Interviews Magazine): Upcoming projects? Eric Burdon: I have to finish the book. I’m constantly writing lyrics, so it’s a never-ending process. Melissa Parker (Smashing Interviews Magazine): How would you like to be remembered by people all over the world? Eric Burdon: My name is Eric Burdon. What’s yours? « Rich Little Interview: Iconic Comedic Impressionist Dishes Memories of Television Classic "The Dean Martin Celebrity Roast"
hi.. Eric ….i had just left school when i 1st heard about. [ the Animals ] and all the change in pop music.. that was accuring i was in the right era at the right time.. i was so lucky. thanks for being there… regards sheila. You always are so sincere and honest. I was so lucky to see you in Moncton in 2011. Your legions of fans for over 50 years show your greatness. Thankyou so much, Eric!!! Originally from the south of England, my band mate in The UKadians in western Manitoba, who is originally from Wallsend, Newcastle….and, yes, he sings a couple of Animals’ songs, and they always go over really well. There’s a lot of fondness for 60s British music here. I brought and read the book that Sherry Carroll wrote and I must say whilst you may deny knowing her I thought it sounded like a very accurate portrayal , in no way did I find anything in there that sounded like it was in any way a lie so how you can deny knowing this women Eric is simply astounding . For all your fans out there of the Animals I would give it a read , I actually thought it painted a good picture of Eric! Gee Eric I’m rather insulted ! lol But I’m really glad you’re doing well and seem happy. Best wishes, no hard feelings, but as a wise man once said ” It’s my life… and i’ll do as i like” and i like to write. Being as I know Sherry Carroll, I can now only believe that Eric Burdon is still in ‘rough shape’ as Sherry referred, or he’s lying. He seems lucid enough about everything else, so I have to choose the latter. Fact is Sherry, her life, her history with Mr. Burdon and book about same are all one entity. Her book paints a mostly flattering picture of Mr. Burdon. Mostly. Her and Eric’s story is truly fascinating. Her own story before, during and after, even more so. I’m a lifelong musician, so Eric Burdon was always a musical hero. Most of what I knew of him was his musical legacy, and press interviews. Through Sherry, I learned he’s like all heroes. He’s human. I’m so glad I read Sherry’s book and learned more. Mr Burdon says he never heard of ‘that woman’? I’d have to quote a more honest 60s British icon, Mandy Rice-Davies…..